Turkey’s ruling Justice and Development Party (AKP), which according to unofficial results lost mayoral races in key cities like Istanbul and Ankara on Sunday, challenges the results, as a defeat will mean losing enormous financial powers, Deutsche Welle Turkish said on Friday. According to the unofficial results announced by the electoral board, the Turkish President Recep Tayyip Erdoğan’s AKP suffered defeats in five of the six most populous provinces in the country on Sunday. 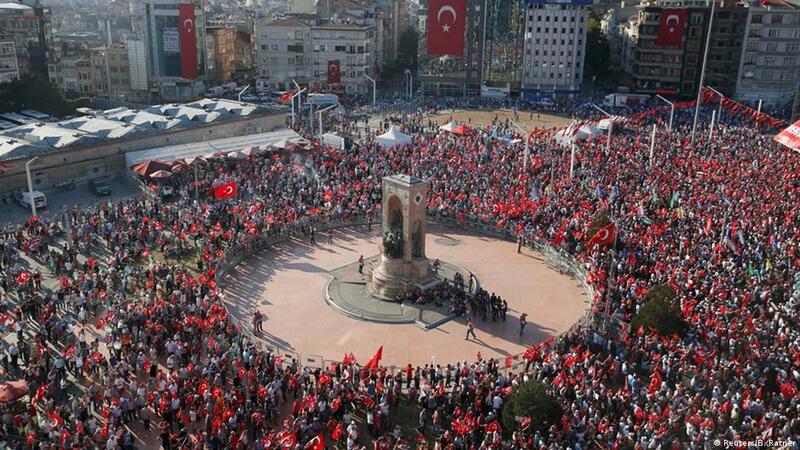 Turkey’s ruling party challenged the results in Istanbul, the country’s biggest city and financial hub, and in Ankara. For Erdoğan, whose rise to power started when he was elected as the mayor of Istanbul in 1994, the results imply a political weakening according to analysts. Yet, the AKP is also concerned that it will lose the control of what some opponents call “the metropolitan city holdings”, as municipalities in Istanbul and Ankara manage huge financial sources, according to experts. The 2019 budget of the Istanbul metropolitan municipality is 23.8 billion lira ($4.2 billion) and increases to 35 billion lira ($6.2 billion) when the budgets of the province’s transportation and water distribution authorities are taken into account, DW said. The Istanbul municipality also controls 28 affiliated companies whose total annual turnover is estimated as 24 billion lira ($4.2 billion). The Ankara metropolitan municipality, which owns 15 companies, has a budget of 14 billion lira ($2.5 billion), while the budget of the western province of Izmir, Turkey’s third largest city, is 5.9 billion lira ($1 billion). According to Yalçın Karatepe, an academic at the Ankara University Department of Political Science, the municipalities in key provinces not only control enormous budgets, but are the sole decision makers over construction permits and land allocations. “The companies who win public tenders of those municipalities in time become supporters of the political movement that represents the municipality,” Karatepe said. Despite losing mayoral races, the AKP still has majority in local councils of Istanbul and Ankara, the legislative bodies of municipalities. Erdoğan on Wednesday called the elected opposition mayors “lame ducks”, pointing that they lacked majority in local councils. While Turkey awaits the results of the recounting in Istanbul and some speculate that the AKP may apply to the Supreme Electoral Board for the cancellation of votes in the province, the government has also other means to make things difficult for the opposition’s mayors, the experts say. In order to keep the economic power in Istanbul and Ankara, the Turkish government can hand over the authority to approve construction permits to the Ministry of Environment and Urbanisation, said Karatepe, adding that the government previously transferred powers over urban transformation projects to the ministry. “And they may make it more difficult for the metropolitan municipalities taken over by the opposition to access the resources of the Treasury. I am not saying they will, but they have that opportunity,” Karatepe said. According to Ersin Kalaycıoğlu, a political scientist at the Sabancı University, the AKP does not want to hand over the financial resources of the Istanbul municipality. “The government does not want the municipalities it controls to be held accountable,” he said. The AKP may seek ways to limit the budgets of Istanbul and Ankara municipalities in case the opposition mayors are declared as winners after official results are announced, but that does not mean that the prospective mayors of the Republican People’s Party (CHP) will lack alternatives, Kalaycıoğlu said. “The government for years have been preventing access of the CHP’s Izmir and Eskişehir municipalities to many opportunities. But they are managed quite well despite that. That means, if the right model is used, there are ways of overcoming budget cuts,” he said.